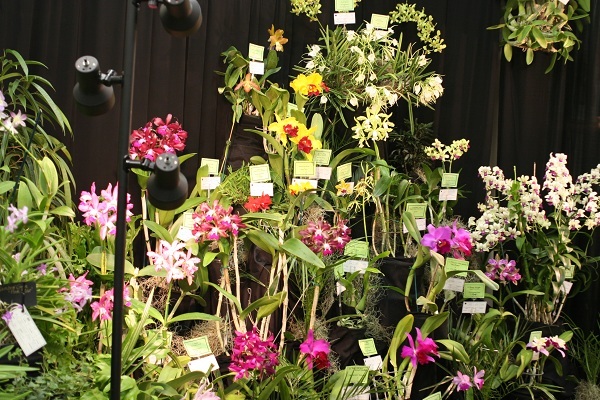 The Central Louisiana Orchid Society Show takes place approximately every 18 months, alternating between the Spring and Fall. The CLOS also sets up exhibits at other shows in the region. There are many opportunities for volunteering available to CLOS members. Since the society's first exhibit in 1980, the CLOS has entered yearly exhibits in many AOS sanctioned shows. 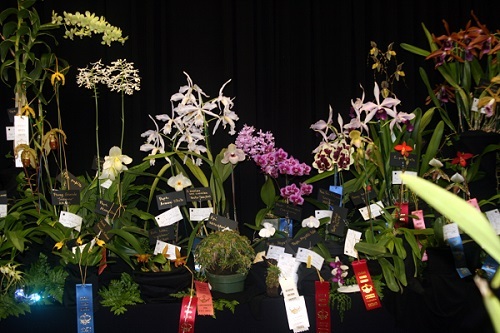 Over the years, the society and its members have received ﻿﻿numerous AOS Show Trophies, Orchid Digest Trophies, ribbons and AOS awards. The CLOS had a very busy and successful 2018 show season. The CLOS also normally sets up exhibits in the Lafayette, Lake Charles, Shreveport, and Baton Rouge shows. Many ribbons and trophies were won! 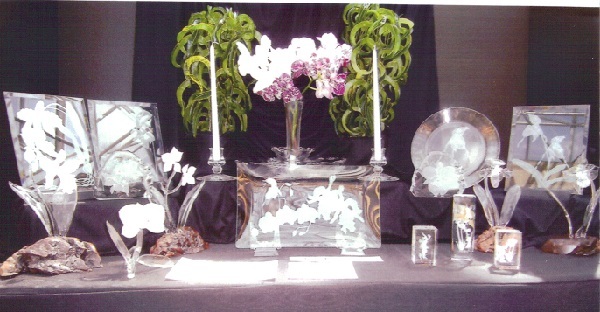 The next show that the CLOS will be participating in is the Baton Rouge Orchid Society show on July 13-14, 2019. 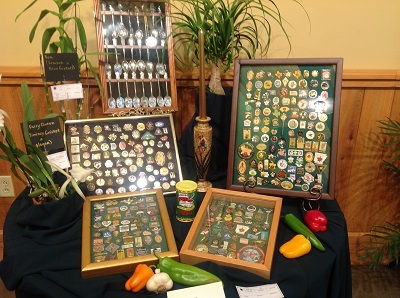 Members should contact Al Taylor if you have plants to enter for our exhibit. 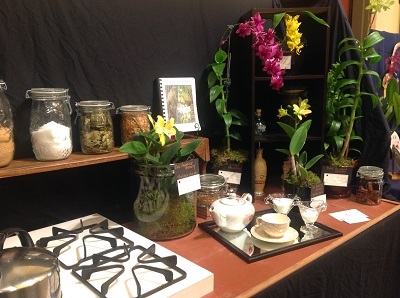 The 2019 CLOS Orchid Show was held on April 12-13, 2019 at the Kees Park Community Center in Pineville. 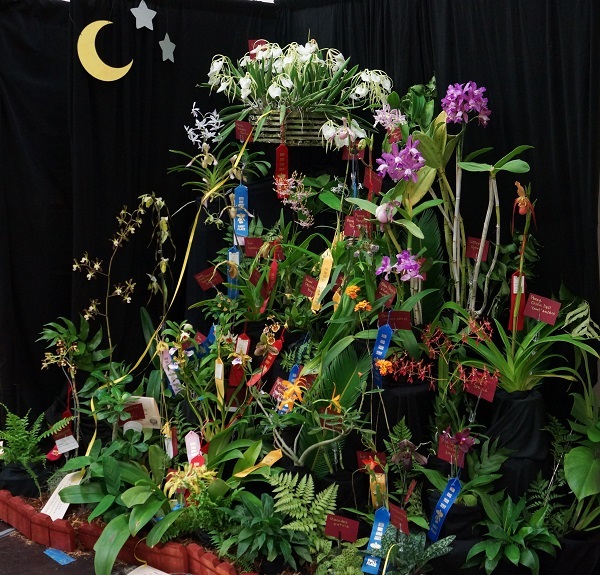 We had an outstanding show and the CLOS exhibit won 42 ribbons, the trophy for Best Society Exhibit over 50 sq/ft, and the coveted American Orchid Society Show Trophy! 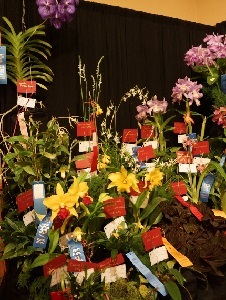 CLOS members won the Best Grown and Best Flower in the Cypripedium Alliance Trophies, Best Oncidium Alliance Flower Trophy, Best Grown and Best Flower Trophies in the Cattleya Alliance classes 102-110, Best Grown and Best Flower Trophies in the Cattleya Alliance classes 116-126, Best Grown Plant in the Vandaceous/Angraecoids Section Trophy, Best Grown and Best Flower in the Dendrobium Alliance Trophies, Best Large Flower and Best Small Flower in the Miscellaneous Genera Trophies, Best Grown Plant Trophies in both the Large and Small Flower Miscellaneous Genera Classes, the Byron McGraw Memorial Trophy, the Reynolds Bath Memorial Trophy, Best Grown Plant in Show, and the Best Flower in Show! 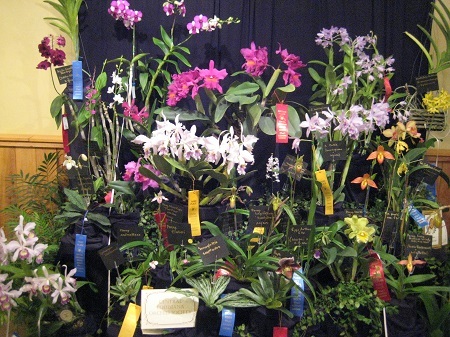 Members also won the Best Orchid Art Exhibit, Best Private Exhibit, Best Youth Exhibit, Best Group Exhibit, Best Exhibit Using 5 or Fewer Plants, and the Best Educational Exhibit Trophies. The CLOS exhibit had 4 plants pulled for AOS judging, with Al receiving one with an AM/AOS and another with a HCC/AOS. Wilton received an AM/AOS on a Cattleya hybrid he created. 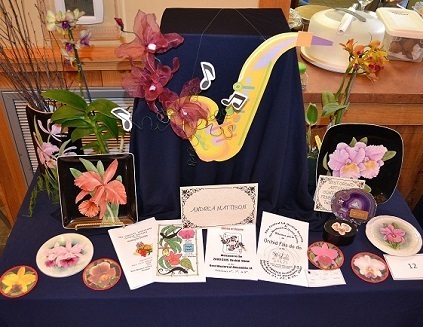 The 2017 CLOS Orchid Show was held on September 8-9, 2017 at the Kees Park Community Center in Pineville. The CLOS exhibit won 33 ribbons and the trophy for Best Society Exhibit over 50 sq/ft. 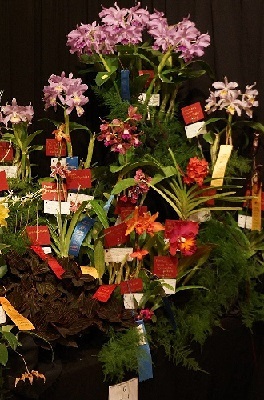 CLOS members won the Best Grown Cypripedium Alliance Trophy, Best Oncidium Alliance Flower Trophy, Best Grown Cattleya Alliance Trophy classes 102-110, Best Grown Cattleya Alliance Trophy classes 116-126, Best Cattleya Alliance Flower Trophy 102-110, Best Cattleya Alliance Flower Trophy classes 116-126, Best Grown Phalaenopsis Alliance Trophy, Best Dendrobium Alliance Flower Trophy, Best Large Flower in the Miscellaneous Genera Trophy, the Byron McGraw Memorial Trophy, the Reynolds Bath Memorial Trophy and the Best Flower in Show! Members also won the Best Orchid Art Exhibit, Best Commercial Exhibit, Best Youth Exhibit, and the Best Educational Exhibit Trophies. 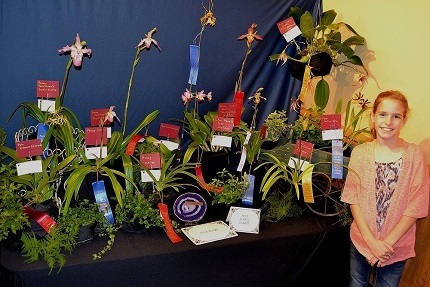 The CLOS exhibit had 4 plants pulled for AOS judging with Eron and Elizabeth Borne receiving a HCC/AOS for their Phrag. Alejandro Teson 'Elizabeth Grace'. 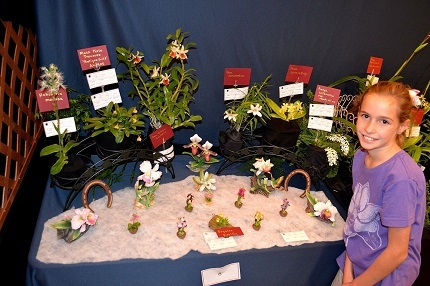 Click Here to see an article in the AOS Orchids magazine on our two youth members' participation in a previous CLOS show. The 2015 CLOS Orchid Show was held on October 2-3, 2015 at the Kent Plantation House in Alexandria. 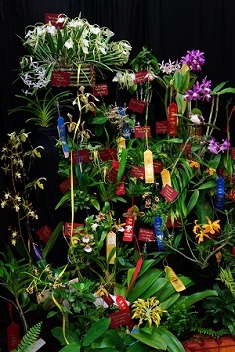 The CLOS exhibit won 26 ribbons. 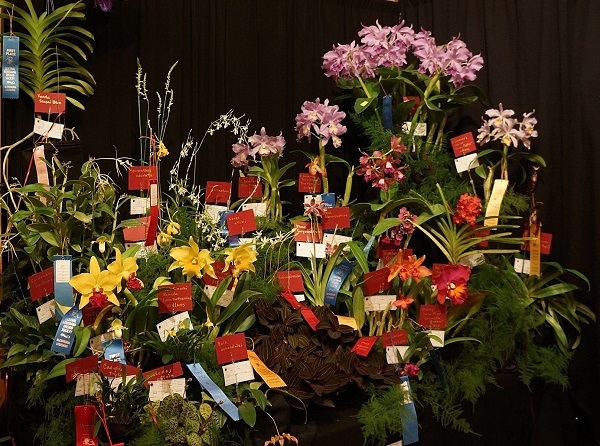 CLOS members won the Best Dendrobium Alliance Flower Trophy, Best Grown Dendrobium Trophy, Best Grown Vanda Alliance Trophy, Best Cattleya Alliance Flower Trophy, Best Grown Cattleya Trophy, Best Small Flower in the Miscellaneous Genera Trophy and the Reynolds Bath Trophy. Members also won the Best Orchid Art Exhibit, Best Exhibit Using Five or Fewer Plants, Best Youth Exhibit, Best Novice Exhibit, and the Best Educational Exhibit Trophies. The CLOS also thanks rePotme.com for the gift packets for our show. For all your repotting and orchid supply needs, see www.repotme.com.